Tyson Thomas will be offering weekly adult doubles clinics from now until Sunday, December 9th (excluding December 1st). Sundays: Oct. 27 – Dec. 9 (except Dec. 1st). Cost: $10 per player (payable to Tyson). 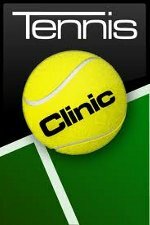 Participate in a fun and fast paced doubles clinic that will increase your love of the game. Tyson Thomas, the YMCA’s new tennis pro, will be conducting a 90-minute Doubles Strategy Clinic emphasizing serve and return. A Doubles Strategy Clinic is set for Sunday, September 29, 1:00 – 2:00 p.m. led by the Fremont YMCA’s new tennis pro, Tyson Thomas. The cost is $10.00 per player (payable to Tyson). Reservations preferred, but drop-ins also welcome.